When we get busy I’m apt to forget my quest to learn something new every day. But during the winter we have the time and plenty of opportunities in the way of classes, lectures, symposiums, trade and garden shows to make a habit of it again. And it’s a treat whether I’m learning something totally new or having convictions, hunches, and ideas reinforced by experts in the field. Betsy, Jason, and Dan will probably win the prize for opening the most neural pathways by taking a winter twig i.d. class and studying to become Rhode Island Certified Horticulturists. And yesterday I joined Gail and Betsy for the second day of Rhode Island Nursery and Landscape Association’s annual winter meeting, My brain is still buzzing. I was at the edge of my seat as Michael Raupp, Entomologist at University of Maryland, discussed the effect of fertilization on insect predators. (Yes, I wear my geek badge proudly.) 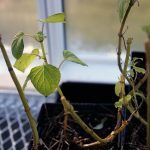 Gail and I have both noticed aphid and whitefly population booms after fertilizing our spring starts and plants in the greenhouse with fish emulsion or blossom booster. We chalked it up to the deliciousness of the succulent new growth produced after the fertilizer jolt, and made the decision to cut back. 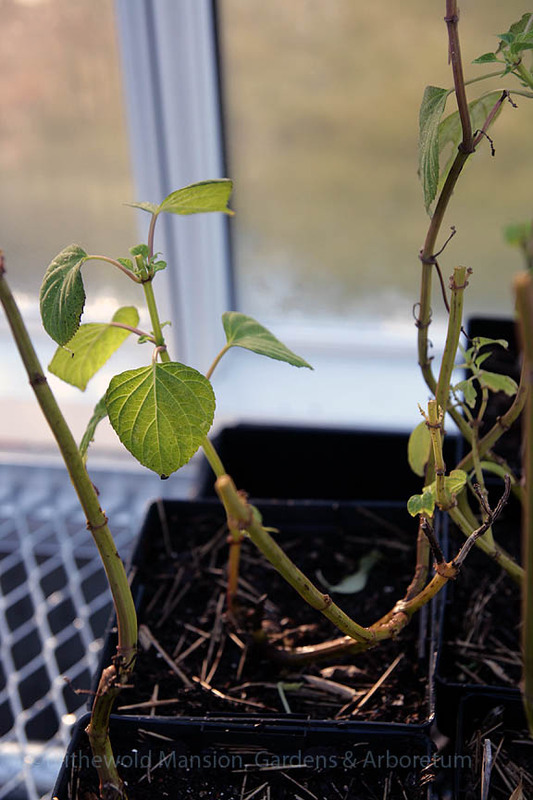 As a consequence, some of our plants look a little spindly and pathetic before going into the ground. But tucked into spring-lush mixed beds their ugliness is hidden, and once in the ground, they take off like a shot. 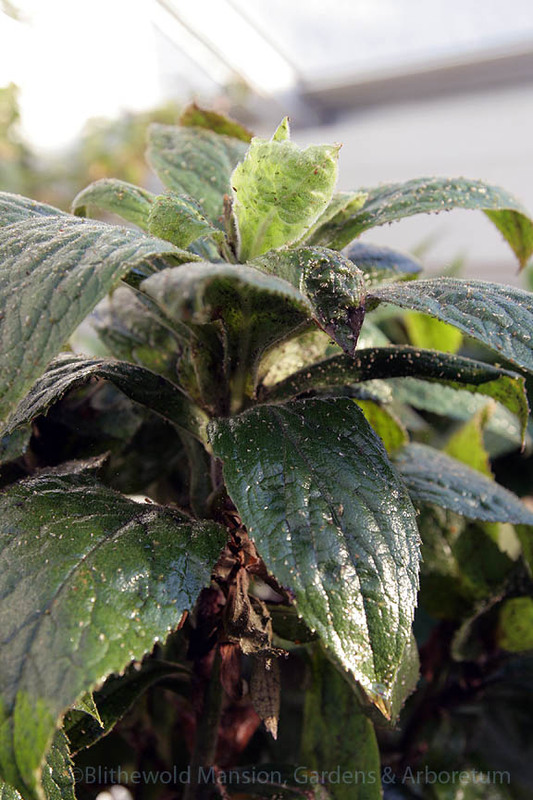 Digiplexis ‘Illumination Flame’ is an aphid magnet even without being fertilized. 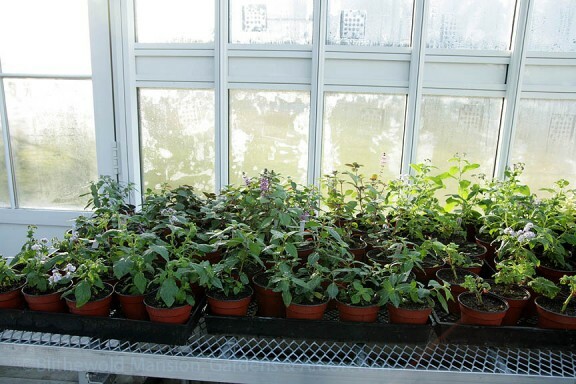 Summer cuttings of Salvia splendens look pretty twiggy but will grow vigorously after planting. We all already know that the best thing for the health of the plants in our gardens is to plant them in good soil, with conditions matching their specific cultural requirements, and then, if there are problems, do the research before reaching for any kind of quick fix. For instance, yellowing leaves (chlorosis) might look for all the world like a nutrient deficiency but may be blamed on an infestation of sucking insects instead. Fertilizing that plant will only make matters worse. 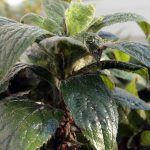 When it comes to fertilizing our perennials, shrubs, and trees, Raupp suggests erring on the side of slow growth and maximum defense. Minimum input. Get your soil tested and feed it if necessary (with slow release organic fixes like compost and shredded leaves, and by adjusting the pH) rather than the plants. Here in the greenhouse, we add an organic slow-release fertilizer (made by Espoma) to the potting soil we transplant seedlings and cuttings into. As that gets used up by the plants this spring we might consider feeding with a controlled release fertilizer like Osmocote instead of fish emulsion. I still expect to see aphids and whitefly in the greenhouse but have every hope that our plants will continue to tough them out. Are you spending your winter days learning something new? Does this information jive with your experience too?